In part 3, we dug a little deeper into the anomalistic aspects of hypnosis (especially the somnambulistic states). We believe that in order to make a little bit of sense of most anomalies in life, it helps to dig into the polarities of virtually each occurrence. In order to digest the potentiality for “positive” physical manipulation, it’d appear important to understand “disease” and/or “negative” physical manipulation. The physiological mechanics behind one concept can help to potentially open up the pathway to discover an essential key for another concept. The official definition of hypnagogia is “the experience of the transitional state from wakefulness to sleep: the hypnagogic state of consciousness, during the onset of sleep.” In terms of EEG state (which we covered in Part 1), it would appear to go in the order of Beta (12-30 Hz), Alpha (8-12 Hz), Theta (4-8 Hz), and Delta (0.5-4 Hz). For the majority of people the “hypnagogic” moment would seem to occur in the Alpha/Theta EEG state as a person transitions from deep relaxation to light sleep. Thomas Edison is known as one of the greatest inventors and scientists of the past 200 years. His impact on the modern world in terms of innovation and improvement of industrial technology is immeasurable. One not-so-well-known facet of Edison’s creative arsenal was the fact that he regularly utilized a technique in order to induce hypnagogia on purpose. He believed this technique played a key role in developing ideas that he had difficulty solving during his regular waking state. His technique was as follows… Edison would sit down in a chair while holding heavy metallic balls. He would attempt to retain a relaxed focus on his topic of choice and as he would drift off to sleep, the balls would drop to the ground subsequently making a loud noise that would wake him up. It is during these moments that Edison claims he was able to tap into solutions that he was incapable of producing while wide awake. It appears as though the purpose of quieting the mind is in order to consciously induce the Gamma wave(s) necessary for deeper insights. From a very basic analysis… self-induced hypnagogia seems to be rather similar in physiological mechanics to self-hypnosis and/or even meditation. A book titled “The Encyclopedia of Creativity” written by Dr. Marco A. Runco & Dr. Steven R. Pritzker outlined the fact that luminaries such as Beethoven, Richard Wagner, Walter Scott, Nikola Tesla, Salvador Dalí, and Isaac Newton all credited hypnagogia and similar altered states as playing a key role in enhancing their creativity. While the concept of hypnagogia can seem like it can potentially open the door to a multitude of greater creative abilities, there are other unexplained phenomena that have reportedly taken place during this “altered state”. People have reported sensations ranging from taste, smell, temperature fluctuation, to audio and visual “hallucinations” during hypnagogic episodes. There has even been a labeling/diagnosis of “Exploding Head Syndrome” (EHS) for people who experience loud imagined noises (bomb(s) exploding, gunshot(s), or crashing sounds) as they fall asleep. One of the most commonly reported side effects from inducing hypnagogia (inadvertently or on purpose) is the experience known as “sleep paralysis”. 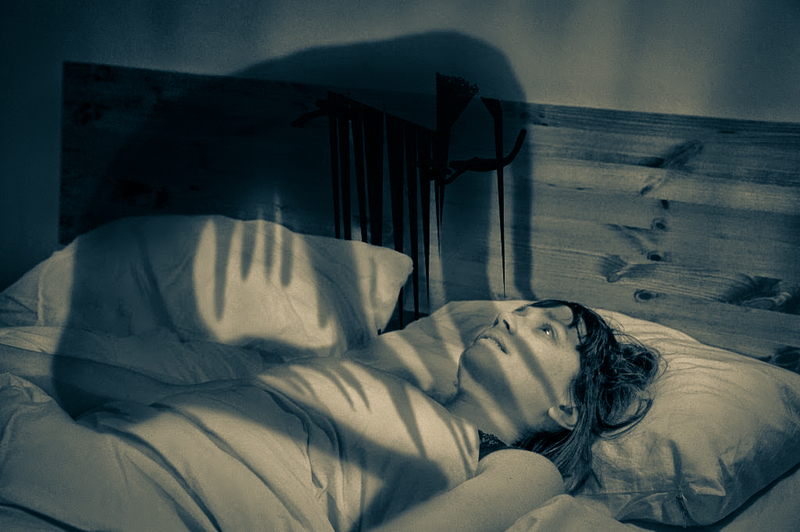 Sleep paralysis is classified as the phenomena in which a person temporarily experiences an inability to move, speak, or react during the transition of falling asleep (hypnagogia). It is reported to be accompanied by hallucinations (such as an intruder in the room) to which one is unable to react due to paralysis, and physical experiences (such as strong current running through the upper body). Being that DMT (dimethlytryptamine) is considered to be a “hallucinogen” naturally produced in the human body (as well as potentially all mammals), it leads us to believe that there is likely a correlation between endogenous DMT synthesis and hypnagogia/sleep paralysis. This doesn’t necessarily equate endogenous DMT release as only occurring during hallucinogenic states. Based on Dr. Rick Strassman’s study of administering different levels of DMT to volunteers, it’s quite clear that the different levels of DMT signify vastly different experiences… some hallucination inducing, some not. A handful of studies have verified EEG recordings of people during hypnagogic states/sleep paralysis episodes showcasing elevated slow EEG waves that coincide with “vertex sharp-wave” stages (appear to be Gamma spikes) outlined here: Sleep (1996), Sleep (1997), Psychiatry and Clinical Neurosciences (1998), Psychiatry and Clinical Neurosciences (1999), & Clinical Neurophysiology (2000). The book “The American Psychiatric Publishing Textbook of Psychopharmacology” states that “sleep paralysis” is an “admixture of REM sleep and awake”. Being that in Part 1, we outlined the fact that Gamma waves as high as 250 Hz have been recorded during REM sleep, it would seem rather logical that Gamma wave spikes coupled with slow wave (Theta/Delta) might potentially correlate with DMT release and subsequent experiences during sleep paralysis. The question is… what to make of the experiences that take place during this phenomena? The general definition of an OBE is as follows: an experience that typically involves a feeling of floating outside one’s body and, in some cases, the feeling of perceiving one’s physical body as if from a place outside one’s body. If we can tangibly quantify the other anomalies outlined in parts 1, 2, and 3, it would appear rather inconsistent to simply discard the experiences from hypnagogic induced sleep paralysis as merely “hallucinations”. This is especially true in the face of “consistency of experience” with unconnected, unrelated people across the world for hundreds if not thousands of years that have had very similar experiences. Does this automatically equate to “demons”, or “OBE’s” that are experienced during hypnagogia/sleep paralysis as being “real”? However, it does warrant further discussion or research into literature as to what these experiences might signify. Much like in part 3, we made the argument that it’d lack consistency to embrace the tangibly beneficial aspects of hypnosis (natural anesthetic, physical enhancement, physiological benefits) while discarding anomalies such as “past-life recall”, we cannot replicate this faulty thought process for hypnagogia/sleep paralysis. A 2006 study in the Journal Neuroscience published a study in regards to the effect of electromagnetic stimulation of the brain. The study found that stimulation to the right temporoparietal junction (TPJ) induced an “OBE”. It’s interesting to note that while the overall health benefits of meditation based on hormonal fluctuations are undeniable, the neuroplastic effects appear to positively optimize the structure of the brain. If the level of temporoparietal junction (TPJ) activation correlates with the “OBE” phenomena and meditation increases development of the TPJ, what can that tell us about these experiences as a whole? To label “dysfunction” of the TPJ as a reasoning for OBE experiences appears contradictory as it potentially appears that optimized function of the TPJ via regular implementation of meditative states might lead to “OBEs”. A bit of a premature speculation? Once again… if looked at in a singular fashion, yes it’d be considered premature but when looked at in totality as it pertains to the information discussed in Parts 1, 2, & 3, hormonal balance that leads to optimization of health, as well as future data/experiences that we’ll discuss, I don’t believe it is neither premature nor a speculation. It’s intriguing that “OBE” phenomena has also been reported from hypnosis, Ayahuasca/DMT sessions, and meditative states as well. A 2005 study in the journal Progress in Brain Research implicates that impaired metabolism in the temporoparietal junction (TPJ) could partly explain the impaired consciousness seen in Alzheimer’s disease. A 2006 study in the journal Human Brain Mapping came to similar conclusions stating: “another measure of anosognosia (unawareness of mental/physical disability), was negatively related to metabolic activity located in the temporoparietal junction (TPJ), consistent with an impairment of self-referential processes and perspective taking in Alzheimer’s disease. It’s interesting to note that in 2014, a study published in Neuropsychopharmacology attributed increased temporo-parietal junction (TPJ) and the medial frontal cortex activity as being key in extensive dream recollection during sleep. In unrelated studies, the Journal of Consulting Psychology (1959) and the Journal of Clinical Psychology (1970) both concluded that dream recollection correlated positively with intelligence. And yes… I’ve been digressing quite extensively. Gamma waves, DMT, and now… "Out of Body Experiences”. It’d seem rather fitting that the concept of the spirit “leaving the body” would correlate with a burst of “Spirit Molecule” (DMT) within the body. Organizations such as the TMI (The Monroe Institute) and IAC (International Academy of Consciousness) have researched this phenomena quite extensively. The Monroe Institute was founded in 1974 by Robert Monroe who would author three books regarding the OBE phenomena titled “Journeys Out of the Body”, “Far Journeys”, and “Ultimate Journey”. The current president of the IAC (founded in 2000), Luis Minero has published a book titled “Demystifying the Out of Body Experience”. He also taught a course on “OBE’s” at Miami Dade college from 1997 to 2002. One of the most extensive publications (1248 Pages) in terms of the “OBE” experience is a book titled “Projectiology” written by Dr. Waldo Vieira. Interestingly enough… many of the techniques utilized to “leave the body” appear to mimic meditative/hypnotic techniques and correlate with physiological mechanics of endogenous DMT synthesis. I understand that this concept is difficult to digest as the properties of a “spirit” or “soul” have yet to be quantified by “modern science”. Perhaps what is needed is the proper equipment/cameras to capture the transpiration of an “OBE” in real-time. It’s pure speculation but possibly a properly calibrated infrared camera, or “dark matter” camera could do the trick. As far-fetched as much of this sounds, we must remain cognizant of the fact that physiologically speaking, many of these “altered” states appear to correlate with optimized functioning of the human body. It’d be an entirely different perspective if these “altered states” were a by-product of sub-par or detrimental physiological conditions. Just because we might not be able to “make sense” of these experiences from a rigid, western, scientific standpoint, it would be a disservice to rely on cognitive dissonance to dismiss these transpirations as “nothing but noise”. The rabbit hole continues to slide into the abyss of the shocking here in Part 5. PS. There are multiple “Out of Body” hypnosis and meditations for free on YouTube that I encourage you to try to experience this phenomena first-hand. Down below I’ve listed a handful of “OBE” testimonials from YouTubers… not proof but just something to consider.